Choose your repayment structure that works for you. Spread out your payments over weeks or months. Whatever works best for your company. We’ve Partnered with a great company to provide you financing for your web projects. Being a startup or small business and having a great website and or web presence online is crucial to increasing sales and revenue. Compromising for a sub-par website is not a wise solution. Fill out the contact form with a message stating financing and a rough amount you would want to put towards your web presence and what your looking to all have accomplished online. We can get you info to have an Approval most cases the same day. It's Instant get any amount, $1k, $3k, $7k, or up to $50,000 worth in under 4 minutes of your time. It's Available. They have the Industry's highest approval rates for the Web Service Industry. 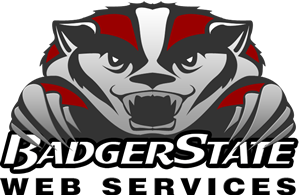 Badger State Web Services will help you along with the Approval process.